Wendy Osserman has always taken the politically personally with humor that is the flip side of anxiety. Her work reflects the inner worlds of the dancers and herself as well as the larger world. 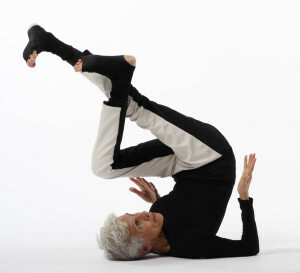 She has been performing and choreographing since the early 1960s. She formed Wendy Osserman Dance Company in 1976 after appearing as a soloist with Kei Takei, Frances Alenikoff and Valerie Bettis. For four decades, the company has toured and performed in New York City in varied venues including the Delacorte Theater with the New York Dance Festival in 1979, Symphony Space, Dance Theater Workshop, Danspace at St. Mark’s Church, Joyce Soho and Theater for the New City. Her many works include thirteen evening-length pieces, over fifteen commissioned works and two dance festivals produced on the island of Paros, Greece. Osserman was featured in Dancing Divas at La MaMa and in Women in Dance at 92Y: History in the Making Anniversary Special. Wendy Osserman Dance Company (WODC) has toured nationally and internationally. The company’s mission is to collaborate with artists in all media on the creation of performances and workshops with and for all ages. It seeks to develop new vocabularies and to utilize alternative spaces for performance. WODC has collaborated with celebrated Czech singer, musician and composer Iva Bittova; composer/musician Skip La Plante; Jordan McLean, Victor Lewis, and David Simons, among many others and visual artists including Sanya Kantarovsky, Annie Sailer, Sarah Olson, Ken Laser and Charles Hinman. Site specific work has been commissioned by The Chelsea Art Museum 2006-‘11, Friends of the Hudson River Park and Community Environmental Center, Solar One. The company has been presented throughout NYC by the Vision Festival at Symphony Space, the 92nd Street Y, Dixon Place, Theatre Within at the Beacon Theater for 10th Anniversary of John Lennon Tribute, Luminatra at Baryshnikov Art Center, Joyce Soho, Dancenow/NYC/DancemOpolitan at Joe’s Pub, and Dancenow/NYC/TheFestival.